Some of the residents of Station Passage, Slave Island listened with some doubts and trepidation about a plan to acquire their land by the Urban Dvelopment Authority (UDA), develop it to a condominium and in return give them a luxury apartment measuring little more�� than their acquired extent of land, at a meeting chaired by Gotabaya Rajapaksa, Secretary to the Ministry of Defence and Urban Development. The meeting was held this week at the BMICH with top officials of the UDA and the investor of the project, Imperial Builders (Pvt) Ltd, Pakistan, a subsidiary of the Lakhani Group. Mr Rajapaksa who did not make a formal speech, did try to explain the whole programme and tried to convince the audience that the people whose land is acquired would be at a greater advantage when they receive a luxury apartment in lieu of the land forfeited. Nihal Fernando, Director General, UDA said that the earmarked area in Slave Island should get a facelift, keeping in line with the massive development work that comes up in the vicinity, such as the Shangri-La Hotel, John Keells head office and Colombo Commercial Company projects. He said that the proposed project would consist of land of around 130 houses belonging to people with legal ownership, land occupied by railway quarters and the land belonging to UDA and the total extent would be around 3 � acres. He said that the building project would be started in September and would be completed within two years. He said that the people whose land and buildings are acquired would be given sufficient money to rent out houses until the condominium is completed and once it is completed these people would be given luxury apartments with outright ownership. A.H.M. Fowzie, Senior Minister in charge of Urban Affairs said that he did not like demolishing abodes and de-housing people, but he liked the present project as the people would be given houses in the same land in which they now live in. Faysal Samana, General Manager, Imperial Builders said that they are the pioneers in Pakistan and have already built more than 65,000 houses in Karachi, and are involved in multifarious activities through their 15 companies of the Lakhani Group. He said that their company also plans involvements in setting up a university and in the hospitality business in Sri Lanka. The investment in Sri Lanka would be US $ 25 million. When the meeting was open for questions, there was a barrage of questions as to the actual situation and a clear explanation of their future housing. Some said the blue-print presented on that day was different from which was shown to them earlier. Mr Rajapaksa� himself mediated and answered the queries and indicated that the project was for the people and any differences and other issues that crops up could be solved by discussing them with the UDA. Yet, some of the people whom the Business Times spoke to on the sidelines of the meeting were worried and going by the experience faced by their counterparts in another area of Slave Island were somewhat suspicious of the government intentions. They were extremely scared and to reveal their identities and a few refrained from speaking to the paper. Some of them said that they have no choice but to accept the government proposal. 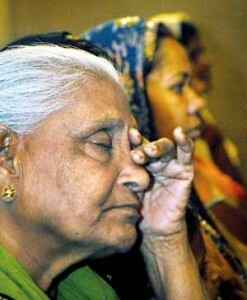 One elderly person argued that in this manner the government is depriving them of the ownership of the land and they would be forced into a different lifestyle for the sole purpose of getting the government’s ambitious intentions fulfilled, though in fact Mr Rajapaksa vouched that the apartment that is given in lieu of the land taken over would be with outright ownership, would then be worth at a much high value (than� their earlier properties) and that they could sell these apartments at a very high price. 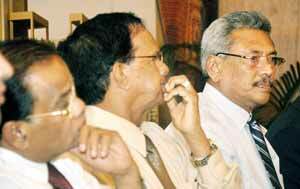 Many an eyebrow was raised when Colombo Mayor A.J. M. Muzamil, said that Mr Rajapakse cannot be fooled by any one and the General who tried to fool him is now dumped on the wayside.